Collection Agency or Attorney: Which is the Best Fit? Both a collection agency or attorney can help recover bad debt for you. How to decide which is the best fit? When you decide to get some outside help to recover bad debt for your business, you want to make sure that you select a partner that will get you the very best results. I am often asked how the services of a collection agency differ from the services provided by an attorney. Whether you select a collection agency or an attorney to help you will depend on the kind of files you want collected. If you have a good number of smaller uncontested files and want a focused, ongoing collection effort that involves communication with your customers by letter and phone, then a collection agency is your best bet. Do you want delinquent customers reported to credit bureaus, or need some research done to find customers who have moved? A collection agency is a good option here too. A file involving a dispute that will probably result in litigation is best for an attorney. An attorney demand letter may be just the right thing to get you paid an avoid litigation, and is usually inexpensive. What happens if the letter does not work? We recently received a file that had not responded to an attorney letter. The debt was 1,000 and the letter cost our customer $150.00. paid up front. The attorney said he would need an hourly rate to continue working the file. We got involved and called the business every day until he paid the bill. You also need to determine which files make sense to litigate? Are there assets to attach? 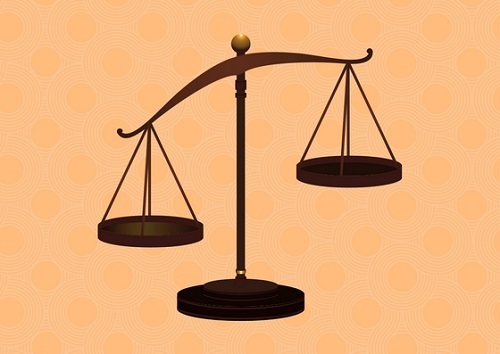 Decide the cost vs. benefit of legal action. I get calls all the time from companies who have a large disputed case they want us to handle. I do not mean to say that collection agencies cannot handle disputed files – they can. However, if the only reason you are hiring a collection agency is to avoid paying an attorney retainer, then you may be making a big mistake. If you want to hire a collection agency, find an agency with experience in your industry. Yes, you should look at the agency’s rates, but understand what is (and what is not) included in the rates. If you want to hire attorney, ask them about their process if the initial demand letter does not get a payment. Do they follow up by phone? Do they have ability to research and find assets? Ask the attorney Are they going to handle the post judgment as well as the court hearings? Finally, find an attorney that understands collection law. The attorney who handled your divorce or drew up your will may not be suitable. There are times when either option can get the job done, and you can make a decision based on the collection partner you think you can work with in the long term. Your best bet is to find a collection agency that has a relationship with experienced collection attorneys. That way, you get all the benefits of both approaches. It is one thing to go to court and get a judgment, but another thing entirely to collect on a judgment. The right partnership between collection agency and attorney will deliver judgments that collect! Should You Be Embarassed If Your Customers Don’t Pay You? When small business owners do not get paid, I understand it when they get angry or discouraged. When you extend credit to customers, you perform a service or provide a product based on trust. Your customer promises to pay, and you trust them. So when they do not pay you, it is a betrayal of trust, and it feels terrible. 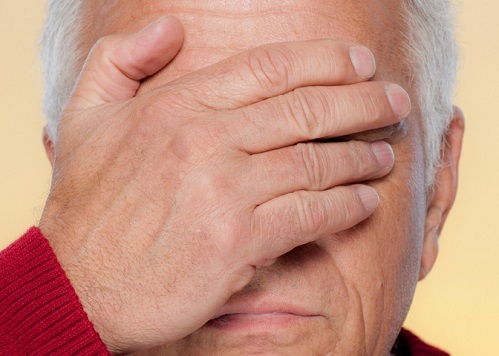 Should you be embarrassed when you get stiffed? I am told that business owners do not want to talk about bad debt in their business because they are embarrassed about it. I wonder what good it does to feel that way. In reality, you are in good company. A payment practices study from 2016 found that 93% of businesses experience late payments, and 46% of credit sales are paid late. Feeling embarrassed might cause you to ignore or hide the fact that customers are not paying you. Unpaid and uncollected accounts receivables are a leading cause of small business failures. So hiding from the problem because you are embarrassed about it only hurts your business. Is it your fault if customers do not pay you? My mother used to say that you cannot change how people behave, but you can change how you react to them. People do not pay what they owe for many reasons, and while you cannot ever be certain who is going to pay you, you can take steps to protect your right to be paid for the work you do. Make an informed decision on who gets the privilege of credit terms. Save your best terms for your best customers. Require a deposit from new customers and if the first transaction goes well, perhaps you can offer better credit terms the next time. Keep monitoring customer credit lines, and adjust when necessary. Communicate your terms clearly in a customer contract before you do the work. Stay on top of your accounts receivables and have a plan to pursue overdue customers. Do not be afraid to hire a collection agency for any debts over 90 days. Even if you do everything right, you still may get burned at times. 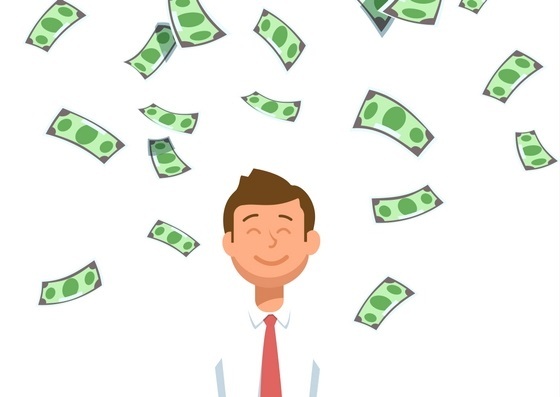 But if you are proactive and diligent with credit customers rather than hiding from the problem, you will improve cash flow to your business, and that is something that will make you proud. Collection Agency Cold Case Files: Can You Get Paid on Older Debts? A collection agency works with a contingency rate. This means that you pay no money up front. Your collection agency makes money when they get you paid. Therefore, many collection agencies want only the newest files, the lowest hanging fruit. These files are the easiest to collect. I certainly have some “fresh” files in my book. However, what about older files, files that are one or more years old? What about court judgments? Statute of limitations may limit recovery. The statute of limitations is the maximum date that you can legally collect a debt. In Maine and in many states it is six years. However, each time your collection agency gets a payment, the statute begins anew. One way to lengthen the statute of limitations is to litigate and obtain a court judgment. Judgments are normally good for between 10 and 20 years. So, if your customer has no assets today, they may have assets a few years from now. A judgment gives you the right to attach those assets. How does a collection agency find assets? A collection agency performs a service called “skip tracing” to locate information on debtors and their assets. When I skip a debtor, I put pieces of a puzzle together. I use some specialized subsciption services, but also search the internet, including social media sites, court and land records. Some people may seek protection from collection with the federal bankruptcy laws. 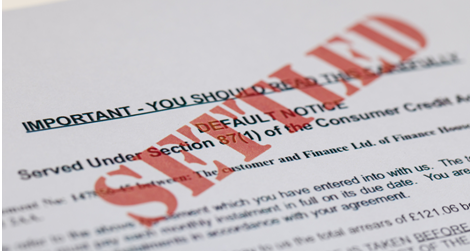 Once you learn a customer has filed for bankruptcy, you must let your collection agency know immediately. You and your collection agency must immediately stop all contact and efforts to collect. In some cases, the debt will be discharged, which makes the debt not collectible, and there is no chance for recovery. Sometimes, the debtor will enter into a repayment plan and you will get some or all of your money over time. In other cases, the debtor will not comply with the law, and the case will be dismissed. If a case is dismissed, you are free to pursue the debt once again. So when can you recover a “cold case file”? It all comes down to two factors. First, are assets available? There has to be something to get. Secondly, your collection agency must be willing and able to dig into an older file. Some agencies only want the newer, fresh files, so make sure to ask. It is going to cost you more money – higher contingency rate- to collect an older file. Accept the reality that you have nothing and that anything you recover is gravy. Debt collection is greatly enhanced when there is a written agreement to verify how the debt came into existence. Similarly, our ability to get the best results can also be hindered in the absence of a contract. Here are some real life examples of recent collections, with names changed to protect the innocent (and the guilty!). Oral contracts are open to interpretation. Oral contracts are valid in Maine and in many states, but when there is a dispute, a “handshake agreement” quickly becomes a “put up your dukes” situation. I have a file on my desk between two tradesmen who have a long history of doing business together and actually are (or were) friends. They each have a story about why the money is or is not owed. My guy claims he is owed $ 700.00. while his buddy claims the same sum is due, referring to an oral contract between the two parties. The two sides of the dispute are diametrically opposed, causing a great deal of angst and no resolution in sight. The “he said, he said” problem is 100% avoidable. Get it in writing! Stop giving interest free loans! My client placed a substantial year-old debt with me for collection. She had been adding interest and late fees after the debt was 30 days past due. She was not happy when I told her that without a contract, she could not legally charge interest unless the customer had agreed in advance. Had my customer had taken a few minutes to send an email to her new customer with payment terms, including interest on late balances, and asked to email back consent, we would have a simple contract and be legally able to add interest. You cannot simply advise on your after-the-fact invoice that you are charging interest, as many believe they can. Why? The customer could argue, correctly that they never agreed to the finance charges. Think about your mortgage, your car loan or credit card documents. A bank never provides interest free loans. Why should you? Getting “personal” can save the day. We were asked to collect a debt in excess of $ 50,000 from a company that had not paid our software developer royalties. When we approached the debtor company, their first defense was to tell us that the company had been dissolved, and had no assets. We found this information be to be true, but also discovered that our client had the forethought to obtain a personal guarantee from the business owner. A personal guarantee means that the business owner pledges personal assets in case the business is unable to pay. We were able to take an action against the business owner, who owned two homes, and a good income. We were only able to take this action because we had the personal guarantee – without it, we would have been stuck. Taking the time before a transaction to communicate your payment terms contractually may mean a little effort on your part, but could make a big difference down the road. Hiring a debt collector is a smart move for a small business. Certainly, having a relationship with a good small business debt collection agency will bring money back to your business and help you grow. There are, however, more benefits you can receive from hiring a collection agency. As a small business owner, you are busy wearing many hats. It is very easy to lose focus on the money owed to you when you are working to gain new business and service your customers. A debt collection agency’s job is to focus, everyday, on your accounts receivables and on getting you paid. Time – Collecting money takes time. All business owners need more time. Let a commercial debt collector help you so that you can spend your time growing your business. Customer disputes can be a big distraction. When you outsource your debt collection, you get yourself out of the middle. The best debt collector will help separate valid disputes from bogus ones, and get you involved as needed. Find an agency that can assist you with improving your credit practices. Look at your business debt collector as your consultant or coach when it comes to your day to day credit interactions with customers. Your collection agency understands small business credit and can help you structure payment plans that give you a competitive advantage. Hiring a debt collector can send a message to your customers that you are serious about getting paid. Time after time, we have seen delinquent customers sent to collections get serious, pay their bill, and become a customer again. Hiring a debt collector is hiring a valued business partner. You must work along with them to get the best results. You will be happy you did. Credit bureau reporting and debt collection are not the same thing. Reporting delinquent debts to the credit reporting agencies Equifax, Experian and Transunion is one of the tools that can be used to help collect a debt. Many people believe it to be the most important thing a collection agency can do for them, but it is only one tool. And, in my opinion, many collection agencies rely too heavily on it. Let me explain. Not getting paid stinks. It is an insult and a betrayal of trust. Although it is a business issue, it feels personal. You are angry and call a collection agency to help recover the money owed to you. The first thing you tell your collection agency is that you want the debt reported to the credit bureau because you do not want your customer to “get away with it”. There is a huge problem with that type of thinking. Your customer has already gotten away with not paying you. You have nothing – zero. So instead of focusing on getting back at the customer, focus on recovering as much as you can. This is where the collection agency comes in. Ask your collection agency what they will do to recover for you. If credit bureau reporting is the first thing they tell you, it likely means that is pretty much all they are doing. Perhaps they are sending a letter and making a few calls, but after a month or so, the debt is parked on your customer’s credit report and nothing new happens. So does credit reporting actually help collect a debt? It can motivate your customer to pay the bill so as to avoid the impact to their credit score. Also, there is a chance that even if your customer does not care about their credit score today, they will at some point in the future. Federal and state laws vary on how long debts can be reported, but the “future” could be years from now though. How long do you want to wait? What is your collection agency doing in the meantime? I was speaking with a small business client this morning regarding a person who owes $3,200. My client asked me to report the debt. I said I would be happy to do so, but I told her that the person already has a 450 credit score with many small collections. One more is not going to make much difference, and it has not motivated this individual to come to the table on those other debts. I suggested we keep working to reach her, and get her into a payment plan. In my experience, most people sent to collections are not primarily concerned with their credit scores. It may be an issue, but it is not the most important issue. The most important issue, the one we hear again and again, is the inability to pay. Therefore it makes sense to work with people and get them into affordable payment plans, rather than punish them for something that may be totally out of their control. Even for those customers that intentionally stiff you, your focus should not be on getting even with them. Your goal, and the goal of your collection agency should be to recover as much money as possible. It can be done without credit reporting. I know – I have been doing it for 14 years. As of July 1, 2017, credit reporting agencies must remove many debts that did not have key identifying information on such as social security number and date of birth. Going forward, if do not have complete information on customers, the credit bureaus may be unable to accept reporting. The impact of medical debt on a credit score has also been minimized So an active plan for recovery becomes even more important. Credit reporting and debt collection, therefore, are two distinct things. One is a tool that may or may not work, and the other is a process – an action word. The actions you and your collection agency take will make the difference in getting you paid. Collection Agency: Are You Helping or Hurting Them? If you want the very best results from your collection agency, there are many ways to help. However, not every action is helpful, and some can actually hinder your collections agency’s efforts. Helpful: Pass along new information. A client recently called me to let me know that they had seen one of their customers driving a company truck. We had a judgment against the individual, and when the customer provided the information, we were able to use it to verify employment and move for a wage execution, which convinced (finally) the debtor to call us and work out a payment information. Pass along any all information you receive, whether or not you believe it is important. You will be amazed what a collection agency can do with a little bit of intelligence. Harmful: Continuing to provide service to customer once the file has been sent to collection. Once you send a customer to collections, you must discontinue seeing them. Consider how it appears to your customer if a collection agency is calling them for an old balance, but you are allowing them to come to your office and giving them even more credit. The mixed message sets your collection agency up for failure. Similarly stop sending bills once you send a customer to collections. The agency will dun your client, and should be the only “voice” they are hearing. Harmful: Pulling files from your collection agency. Imagine this scenario. A customer avoids your for months, so you send them to collections. A short time later, the customer calls and begs you to “take them out of collections”, and promises to pay if you do. You pull the file from your collection agency and set them up on a payment plan. Remember that a collection agency works on a contingency rate, which means they charge no money upfront, but get paid only when they get results for you. So, if you pull a file that clearly is only offering to pay after receiving a collection notice, you are showing the agency that you do not respect their work, and are not interested in a long term relationship. Also, every single time this has happened to us, we have seen the file come back to us, because the customer makes a few payments then defaults. They are calling you because the collection agency contacted them, and the agency should see the process through. Now, if a customer calls you or comes to your office and wants to pay their bill in full, take the money. However, any payment plan or dispute should be referred back to your agency. They are expert at setting up payment plans, and keeping people on track with those plans. Harmful: Telling the collection agency how to do their job. Imagine someone telling you how to run your business. It is no different for a collection agency. Last week, a customer sent me some information from a generic website to “prove” to me that I could charge a usurious interest rate on a judgment. He was not happy when I sent him the actual Maine law that allows only 8%. Helpful: Reporting direct payments promptly. If a customer pays their bill, let your collection agency know immediately. You do not want the collection agency continuing to contact someone who has done the right thing. FDCPA: A Good Law Not Always Used in the Best Way. The FDCPA, or Fair Debt Collection Practices Act is a federal law that governs the behavior of third-party debt collectors attempting to collect consumer debts. It details abusive, misleading and unfair practices, gives guidelines for debt collector communication. It assigns civil penalties for violations of the law. There are also state versions of the law, based on the federal model. The FDCPA is a very good law. Consumers need to be protected from unprofessional collection agencies. Just google “collection agency scam” and you will find a host of horror stories. Some of the news reported is not done by collection agencies, but people trying to scam seniors pretending to be the IRS, and so forth. Nevertheless, there are bad collection agencies out there – just as there are bad players in every industry. There are also many reputable collection agencies working hard to return money back to business owners and keep the economy flowing. Collection agencies have made significant changes to their hiring and training practices to comply with the FDCPA. These changes have helped consumers. It is my opinion, however that the law is not always used for the best of purposes. Let me give you an example. Years ago, we received service of an FDCPA lawsuit. The plaintiff was an inmate in federal prison in Pennsylvania, alleging violations of the FDCPA for debts from various credit cards when the plaintiff lived in Massachusetts. Now, I have never worked or lived in either Pennsylvania or Massachusetts and I have never collected consumer credit card debt. The plaintiff’s name was not in our database. So naturally, I knew the suit was baseless, but since the suit had been filed, I had to respond. Several other local agencies were also named in the suit, and I called two of them. I was horrified to learn that even though, like me, they had never attempted to contact the plaintiff, and knew the suit to be a scam, they had decided to pay the amount demanded – $2,500. Why? Simple economics. You see, when a business is sued, the business owners cannot represent the business. They must hire an attorney to represent them in court. The cost of hiring an attorney might well exceed the demand amount. They considered the payment a cost of doing business. Well – not me – I never pay ransom! I contacted the prison authorities who referred me to the FBI. As luck would have it, I had a relative who was a Pennsylvania-admitted attorney, so I was able to get a letter done for free, but I would have paid an attorney, just to make sure the scam was exposed and ended. The inmate lawsuit is an extreme example, but there are also examples of collection agencies being sued for minor violations such as one word being left out of place in a letter. Some court decisions have been totally contradictory – such as one court ruled that agencies must leave certain language in a voicemail and another court finding that same language to be disclosure of the debt to the third party, which is prohibited by the FDCPA. In some cases, the attorney gets a large award for fees, while the consumer gets only a few thousand. Still others might use the FDCPA to get out of paying the debt – not at all what it was intended to do! Penalizing agencies for hyper-technical violations takes time and energy away from prosecuting the bad players. Consumer collection agencies walk the “damned if we do, damned if we don’t” tightrope. Just as unscrupulous agencies ruin it for the good ones, bad litigants ruin it for those who need protection. Many agencies no longer collect consumer debt. Third party agencies return over 50 billion dollars back into the economy every year. We know you love to hate us, but if we don’t get businesses paid, then businesses cannot grow. Prices go up. Employees are laid off. No one wins! Hiring a collection agency might be the best business decision you make all year. If you get it right, you will save time and improve your cash flow. How DO you get it right? The first thing you need to do is determine your collection goals beyond simply getting paid. Do you want to keep these customers once they have paid, or are you done with them? How long has the agency been in business and what experience do they have collecting for businesses like yours? How does the agency approach your customers. If your goal is to get people to pay you and then keep them as a customer, you will want a very different approach than you will for customers who you have sworn off ever working with again. An agency may be able to handle both types, but it is important to communicate your goals and determine what appetite, if any the agency has for your business, and your desired approach. I once won a medical account because the previous agency was refusing to set up payment plans and instead demanding full payment. We came in with a program that out customers on automatic payments, which are simple for all involved, and we were wildly successful. Make sure that the agency has the appropriate business license. Some states also require a separate collection license and bond. Half of files submitted to a collection agency need at least some sort of research to find a new address, new phone or other information necessary for collection. In the collection agency, this research is called skip tracing, and it is very important. Ask the agency how they perform their skip tracing. It should always be included in the collection rate your agency charges, and never extra. Although some collection agencies offer a low flat (non-refundable)rate fee for basic contact, real collection of bad debt is done with a contingency rate. 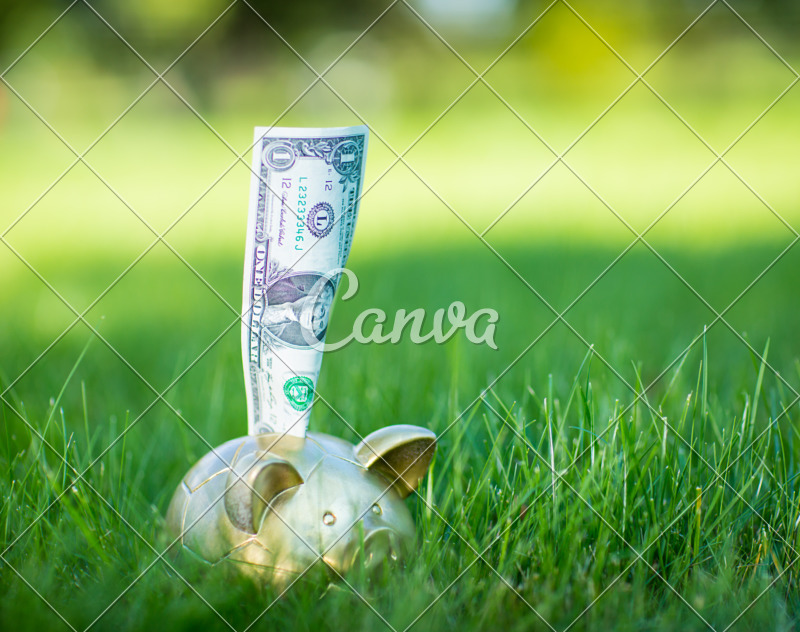 Contingency collection rates are based on aging of the debts placed. With this sort of approach, your agency gets paid only when they get you paid. No collection means no fee. The lowest rate is not always the best rate. Ask the agency for references, and ask them to describe how they will work to collect for you. Be very careful, before you sign a contract, that you know what is included in the rate, and what is extra. Many collection agencies have attorneys on staff, or have a working relationship with attorneys to work on files that need to be referred for legal action. Make sure to understand how the process works, and what extra costs, if any are involved. Also, ask the agency if they are experienced in post judgment recovery. It is one thing to get a judgment, another to get the money. 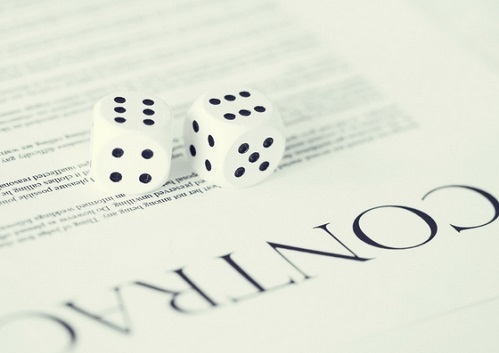 Collection Agency or Attorney: Which is Best for Your Business? Size and number of files – Attorneys generally litigate. 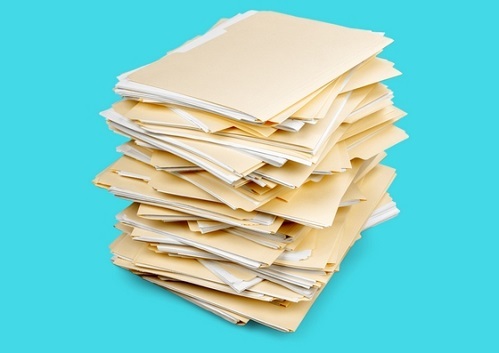 If you have a large number of files of varying amounts, litigation will not always make sense. A collection agency is equipped to reach debtors by both mail and telephonic contact. A law firm may want to work only on the larger files, or will send only one demand to files under, say $1,000. A collection agency certainly can handle larger files, depending on the nature of the file. Location – If your customers are in various states, an attorney may be unable or unwilling to help you, or you may have to retain different lawyers for different locations. Many collection agencies are multi-state, and some are national in scope. Rate basis and out-of-pocket costs – Whether you choose a collection agency or attorney, always ask for a contingency rate versus flat or hourly. A contingent rate means that you will not pay anything up front, and receive a percentage of sums collected. Also, ask for an estimate of out of pocket costs. What is included in your rate and what is extra? If your attorney is going to litigate, you will likely have to front the costs and get them reimbursed when the money is collected. Court costs vary, but they can cost you hundreds of dollars, which brings up the next factor – actual collection of the funds. Post Judgment Collection – If you hire an attorney and are awarded a judgment, the court does not collect the money for you. Getting a judgment is one thing – getting paid is another. In some states up to 80% of judgments go unpaid. I have been asked many times to collect judgments obtained by attorneys. Make sure collection agency or attorney has the experience and is willing to pursue post-judgment collection. Research Capability – Over half of the delinquent customer files need some sort of research to locate debtors or their assets. You make sure the collection partner you choose has the experience and tools for quality research. Also, you should never pay an additional fee for research. Credit Reporting – Reporting debts to credit bureaus is often cited as the key benefit of hiring a collection agency. I disagree. First of all, credit bureau reporting laws have been changed to limit the types of files that can be reported by requiring information you may or may not have on the customers, such as date of birth or social security number. Also, the credit agencies have limited the impact of some types of debt to the credit score, making credit reporting have much less impact. Lastly, reporting a debt may make you feel good, but it will not in many cases get you paid. The key benefit of using a collection agency should be their ability to focus on your files, and make a consistent and prolonged effort to get recover for you. Focus and Experience – Make sure the collection agency or attorney has experience collecting for your type of business. Use a collection agency or attorneys who specialize in debt collection. The attorney who did a great job on your will may not be the best choice. Also, whoever you choose has to be versed in the various collection and credit reporting laws such as the FDCPA and FCRA. The best option is to find a collection agency that has relationships with attorneys. If the collection agency cannot collect the debt, they can research the file to see if litigation makes sense. They can also assist the attorney with post judgment collection. Therefore if you are hiring a collection agency, make sure they attorney relationships and get the best of both worlds!